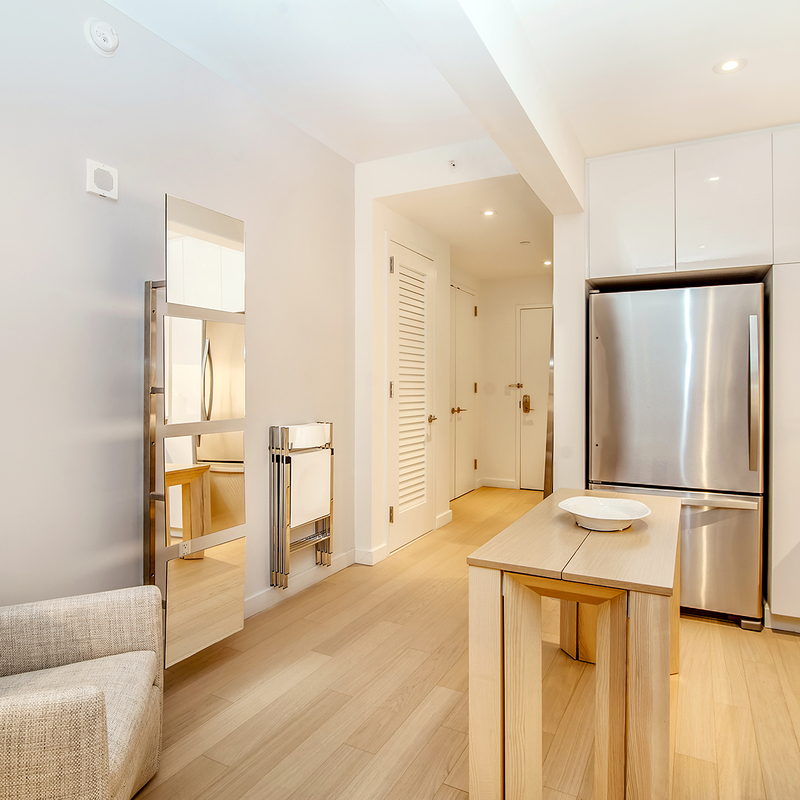 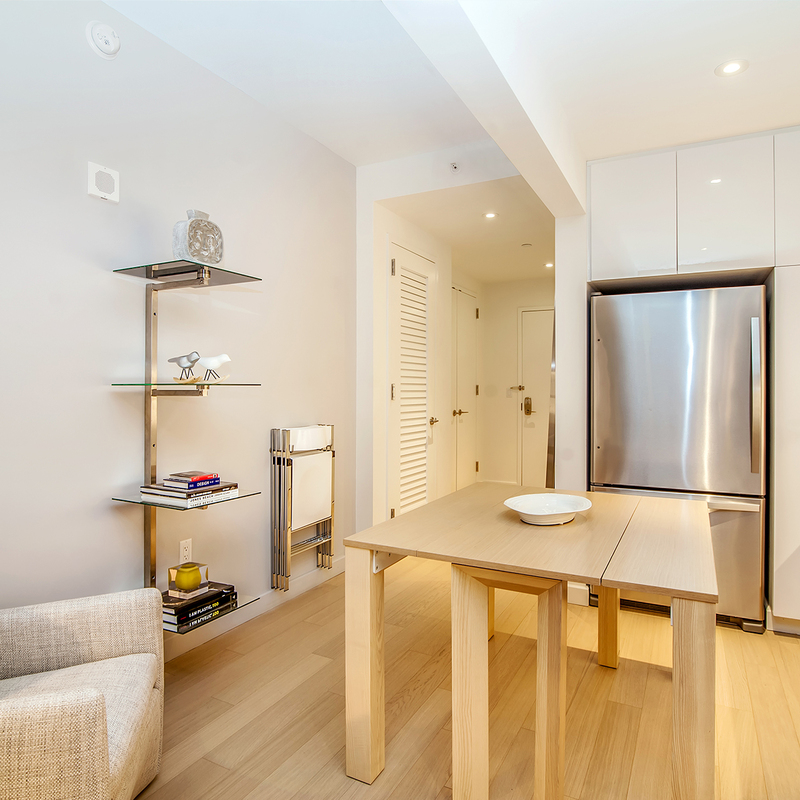 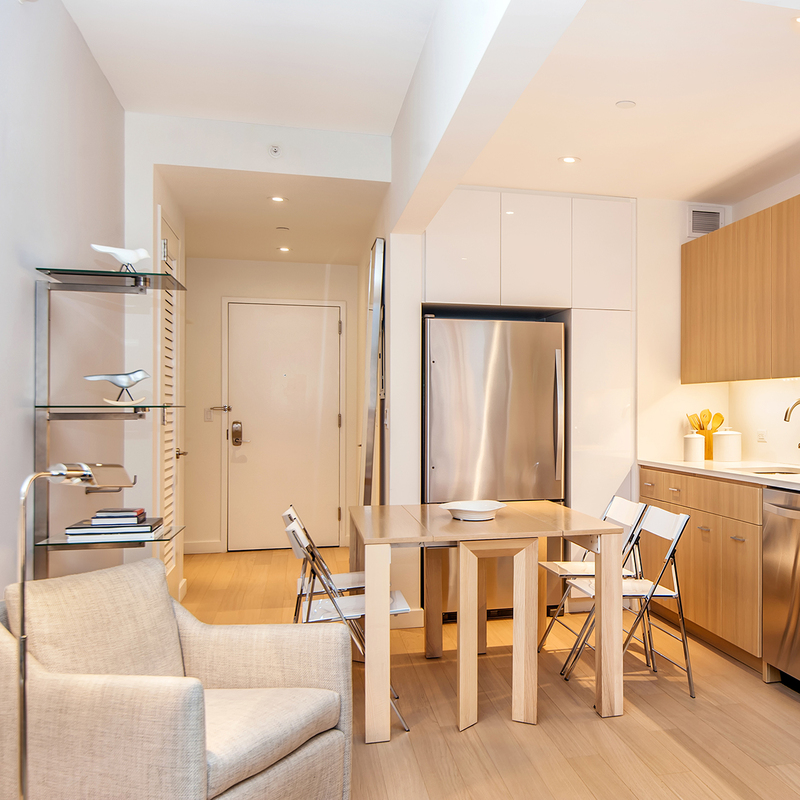 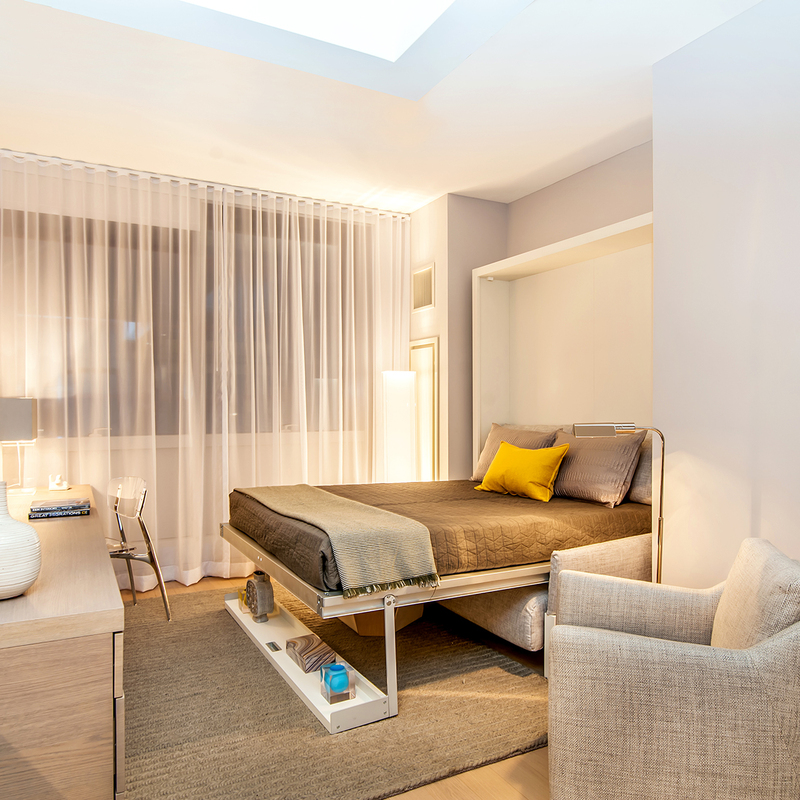 For Prism at Park Avenue South in Manhattan, Equity Residential worked with Resource Furniture to design a multifunctional studio apartment that comfortably and stylishly maximizes every square foot. 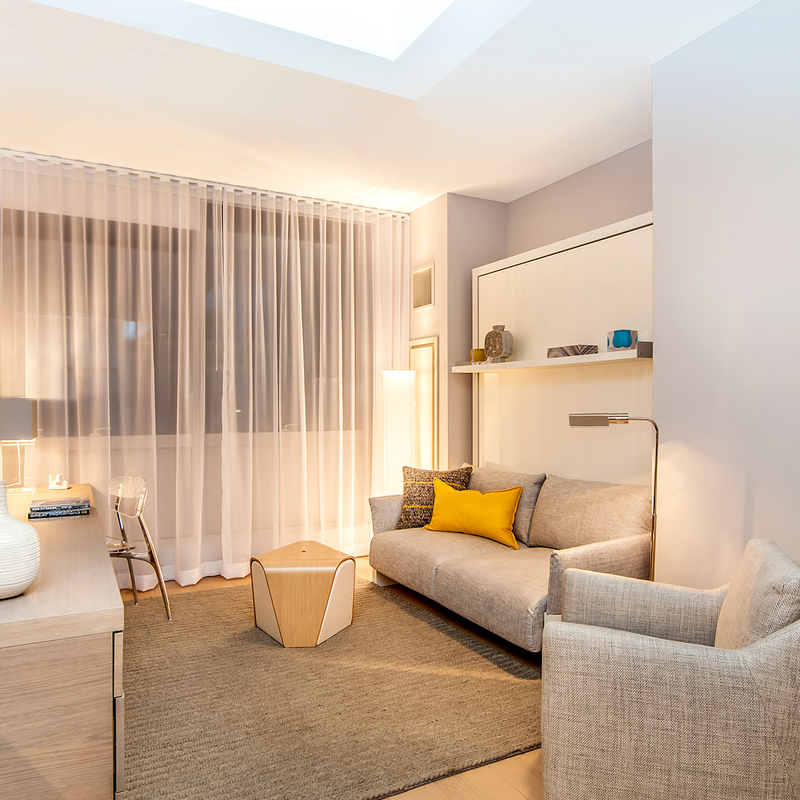 Prism features a warm and inviting studio space designed with space saving furniture that works together to transform seamlessly from day to night. 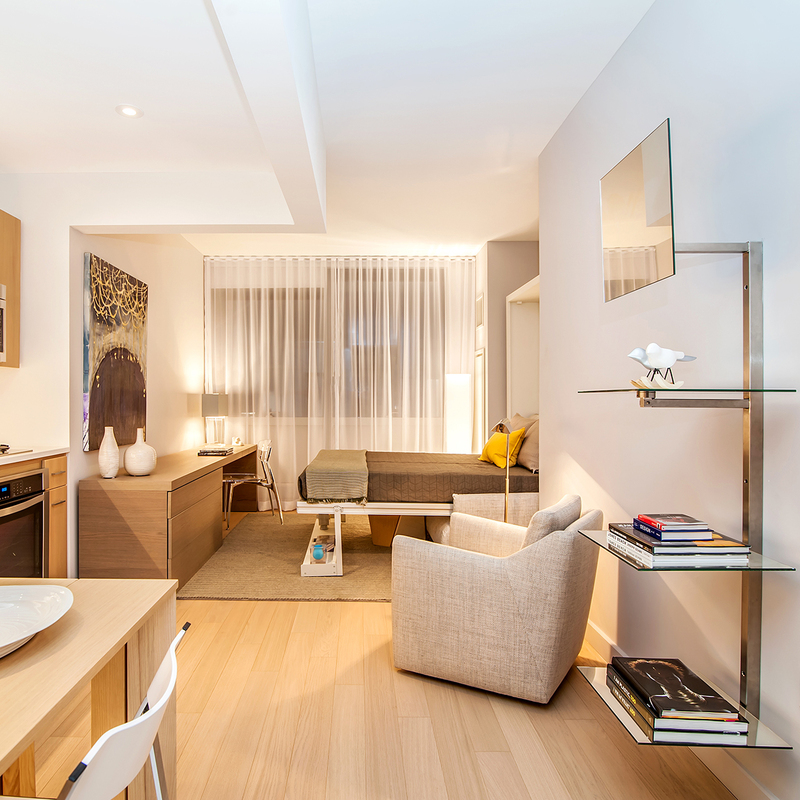 This space is a 375 square feet model apartment complete with a Nuovoliola sofa wall bed or “murphy bed” system, Alterno desk with integrated dresser drawers, Pocket chairs, an expanding console to dining table similar to the Goliath, Piccolo Basso armchair and a piece from the Comfort Rug collection.